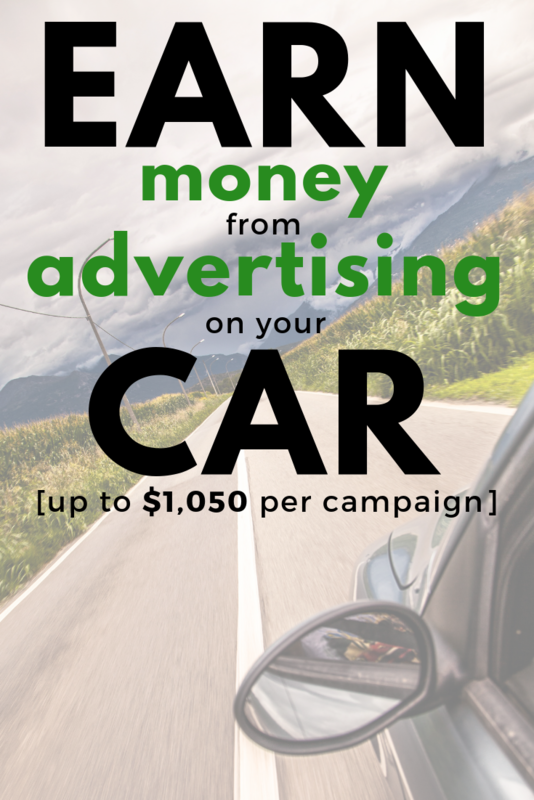 Earn Money Advertising On Your Car: Earn $1,050+ Per Campaign! There’s probably already a good chance you drive around town, so wouldn’t it be cool if a company paid you to slap an advertisement on your car and you got cash in return? It’s possible, but of course, there are limitations! While there are ways to get paid while driving your car, I want to point out that it can be quite hard to find a company willing to use your car since the competition is fierce. BUT, that doesn’t mean you shouldn’t try. In today’s post, I wanted to talk about the car advertising scams to avoid, the companies hiring RIGHT NOW and how much you could potentially make. Again, I recommend applying for these companies, but don’t expect to start making money tomorrow. How Does Car Advertising Work? In short, companies all of sizes will usually contact a third-party car wrapping service that has a database of drivers, and these third-party companies are the ones you will want to sign up with, not the advertiser directly. 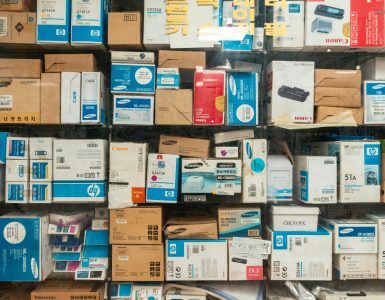 I will list all of these legitimate companies later on in this post, I promise. And usually, these advertisers are looking for particular drivers who drive in certain regions, have a certain car and/or also drive a certain amount of miles per month so that they can place an advertisement on your car. Just like a billboard you see along the highway, you will act like one, but instead, you will be mobile. In today’s technological era of apps, most car advertising companies will track you on an app to know how much you drive as well as where you drive. That way, an advertiser knows their message is out there and they are getting the best bang for their advertising dollar since they know how many miles you drove. So if you’re in the third-party company’s database and meet the advertiser’s criteria, then there could be a good chance you could get hired for the gig. Now, just because you meet the advertiser’s criteria, it isn’t guaranteed, however, as a lot of these companies have THOUSANDS of drivers in their database, so don’t be discouraged if you never hear back from the company. That’s why I recommend you sign up for as many companies as possible to increase your chances. From there, if you were chosen, the company will wrap your car and you would then be paid for the advertising period that usually lasts anywhere from three to 12+ months. Ah, the best part. Making the cash. In general, car wrapping companies can pay anywhere from as little as $200 to $1,000+ for a campaign as long as you abide by the contract terms, but again, it can be based on so many factors. I just recommend you pay close attention to the contract to know the exact payout terms and what you need to do in order to secure that payment. By the month, don’t expect to make more than $200. From my research, people who drive in larger cities, at least 50+ miles a day, tend to be the hot commodity; however, this isn’t always the case. As long as you put on a lot of miles and tend to drive by a lot of people, then your chances can be pretty good. Just remember these companies want eyeballs on your car, so it would be silly to pick out a person who lives in the country, right? 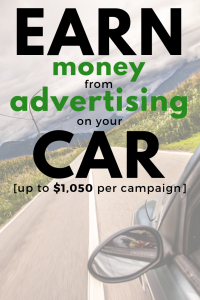 Regardless, if you’re able to snag a car advertising opportunity, you can’t complain because all you need to do is drive as usual, but you will get paid in doing so! To be safe, talk with the company direct and/or visit the company’s FAQ for more information. 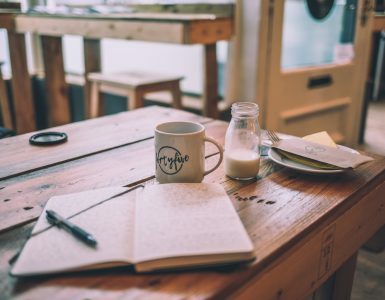 However, if you can check off all of the qualifications mentioned above, you do have a much greater chance at landing an advertising opportunity. Car Advertising Scams – Yes, They Do Exist! One last section I want to touch upon before I get into the legitimate car wrapping opportunities are the scams, and sadly, this industry is FILLED with scammers. So much so, the FTC actually issued a warning about it as SO many people were getting scammed. Now, finding a car advertising scam is usually straightforward, and usually, you will find these ads on Craigslist or elsewhere, usually in the form of a legitimate job post. When you inquire about the job, the scammer will ask to send you a cashier’s check and you will then be asked to deposit it into your bank account. Once deposited, you will be asked to send a few hundred dollars to the so-called “car wrapping company” and will be out your money once the check bounces. Of course, since you already sent the money immediately, it will already be too late to get your money back. Known as the cashier’s check scam, the scams are quite common, not just in the car advertising industry. If the company asks for ANY payment… run! A legitimate car advertising company will simply ask for your application and will never charge a fee or ask for one. Okay, now that we know how much you can get paid, how to avoid the scams and what the entire process entails, let’s get into the good stuff — the companies that are willing to hire you. Now, I haven’t personally tried these companies; instead, I researched a variety of third-party resources to make sure they are 100% legit. These companies will never ask a payment up front nor will they send you a cashier’s check, I promise. With that out of the way, do keep in mind that just because you apply, it doesn’t mean you won’t get hired. Adding your name simply increases your chances of potentially landing a gig if the advertiser is interested in your profile. Carvertise is an award-winning marketing firm that matches companies with high-mileage drivers who don’t mind adding a decal on their car. This is quite possibly the most popular car advertising companies out there. Founded in 2012, the company has worked with THOUSANDS of drivers with hundreds of brands and continue to look for drivers who are interested. To apply with Carvertise, they ask you to submit a simple application, and then, if a brand matches your driving habits, the company will contact you and pay you for every month via direct deposit as long as the campaign is active. Once complete, the company will remove the wrap from your car via one of their professional installers. Now, with Carvertise, you have two wrapping options: either a partial, which takes a portion of your car, whereas a full wrap will cover the entire car. All car wraps are safe for your car and won’t harm your paint, with each wrap designed specifically for your car. Signing up is 100% free, and the company notes you can make anywhere from $300 to $1,200 per campaign, but they also say the standard rate is $100 a month on average. So if you had a three-month campaign, it would be safe to say you would make about $300 for the duration. Please note that the company will NEVER ask for money or ask for a check written. Since scams are rampant online, often using this company’s name, it’s so important you’re either using their official website or talking with a representative with a @carvertise.com email address. Wrapify works with hundreds of major brands, including Google, Microsoft, Bud Light, Petco and so many more and is easily my second choice on the list. And the best part is that the company is currently looking for drivers who want to earn hundreds per month, all while driving your car as you normally would. First, the company asks that you download the free Wrapify app. Here’s the Google Play link and iTunes link. It’s free to download. Then, once downloaded, the company will ask that you start to drive while actively using the app so that they can match you with potential advertisers. According to the app’s FAQ, once you drive at least 50 miles, you will be eligible to receive campaign offers, but it doesn’t necessarily mean you will receive them as most advertisers are often looking for certain cities and routes. If campaigns do become available to you, then you can pick and choose any advertiser you want and choose how much of your car you’re willing to wrap. Eventually, if you’re able to qualify, Wrapify simply asks that you start the app whenever you’re driving so that the company can track your mileage and pay you accordingly. 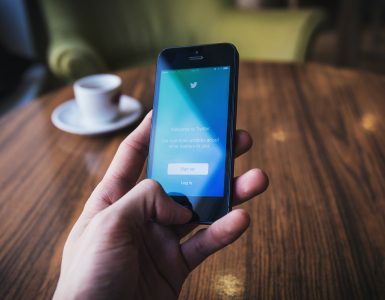 While the app is rated quite poorly online (1.9/5 on Google), it just appears that most people are frustrated with the lack of offers, so your results will vary, but you may want to give it a shot to see if you can potentially land a decent gig. Remember, if you’re not in a busy area, advertisers will not want to work with you. Just don’t be surprised if you rarely see a campaign come up. Remember, these jobs are VERY competitive. Free Car Media, a non-traditional marketing company, claims to pay you UP TO $400 a month, but this depends on the advertiser you’re matched with. To start potentially earning, register for free on the website, and if you match the advertiser’s criteria, the company will contact you with more information as to how you can start earning. When chosen, your vehicle, depending on the advertiser, will either fully or partially wrap your car, but in some cases, a simple rear window decal may be considered as well. Most campaigns last six to 24 months, earning you enough to hopefully cover your car payment and insurance for the month, so don’t expect to get rich. The company stresses you won’t be able to quit your job, but it could be a wonderful way to add a few dollars in your pocket. I kind of didn’t want to list this company here, but I figured I would because I read so much about this company online, both good and bad. With ReferralCars, it’s a pinch different than the other companies listed here because they ship you a decal in which you place on the back of your car. You can see what the decal looks like on the official website. So, unlike these other companies that wrap your car in its entirety, the ReferralCars sticker will be an advertiser, but it will be in the form of a banner that’s slapped on the back of your windshield. No professionals are needed, either. Now, here’s how ReferralCars works. Every sticker they send out to their drivers will have its own number and referral code that ties to you. And if someone calls that number and uses that referral code, it appears you get a kickback of some sorts, around $12 per sale, at least from what I read. Now, here’s why I didn’t want to list them. For one, they charge you about $7 to ship the decal. I don’t like this, but if you want to attempt to make money right away, this could be your only choice right now. Secondly, I have read that the company will try to charge you an annual fee after you have been a member for a few months, but this wasn’t confirmed. It was said to be about $8, so you may want to watch your credit card statements. And lastly, on the website, they do state they will pay you $100 if you do not receive any customer calls in your first 90 days, but I would take this with a grain of salt as some stated they did not receive this and/or had to jump through hoops. As a rumor, it appears the $100 isn’t cash; rather, it’s a Restaurant.com gift card. Again, I’m 50/50 on this one, but if you want to try to earn money fast by placing an advertisement on your car, this may be your only option as of now. If you have worked with them, please let me know in the comments and I will edit this as I see fit. The StickerRide app helps you earn money as you drive, essentially compensating you for your various car expenses such as gas, car washes and even parking. To start earning with StickerRide, the company first asks that you download the free app (Google Play or iTunes) and register your car. Then, once you register your car, you can then choose one of the preferred advertising campaigns, if available at the time, and have a professional install your wrap on your car at no cost. These wraps are safe for your paint will always be installed by a professional. After your car is wrapped, drive as you normally would while running the app to get paid. According to the company, payments greatly depend on the car you drive, where you live and how many miles you drive. More than 175,000 drivers have downloaded the app, with 60+ successful campaigns launched. Wrapity is yet another app that works just like the others noted above, but from the looks of it, it doesn’t appear to be as active as the rest I listed here. To start using, download the free app, start tracking your mileage and see if you qualify for any upcoming campaigns. If approved for a campaign, much like the other apps/companies I listed, it’s completely up to you whether or not you want to accept the advertisement or not. Again, while this app did not seem as popular as the ones mentioned above, I guess it doesn’t hurt to add your car profile to the list, but again, don’t be discouraged if you never hear back. The app wasn’t rated highly, but it appeared to be due to people not receiving any campaign opportunities. Car-Bucks is an online service that matches everyday drivers who are will to display ads in their rear window for cash. Engagements, according to the FAQ, can last anywhere from three to as long as 12 months, with longer campaigns earning you the most cash. Unlike a lot of these companies, Car-Bucks works similar to that of ReferralCars I mentioned earlier, where you place a sticky banner ad, about 6″ x 30″ in size, on your rear window, which is said to be easy to peel off and leave no residue. No car wraps were required. Drivers can accept or decline any ad opportunity presented to them and payments are said to be about $1 per commuter hour. To learn more about the company, visit the official Car Bucks Vehicle Advertising Network website. The PayMeForDriving.com website was local to St. Louis only, but I only wanted to include it here just in case you lived in the St. Louis area. To qualify, the company requires that you live and work in either St. Louis City, St. Louis County, or St. Charles. You must also own your car, drive it regularly be at least 18 years old and have no serious traffic violations. If you do live in one of the abovementioned areas, then you can apply via this application, and if approved, the company will contact you with a schedule to install a wrap if approved. Again, this company only works with people who live in St. Louis City, St. Louis County, or St. Charles, so if you don’t, I would recommend not wasting your time and applying. If you’re from Canada, then you’re in luck! While the company’s website looks quite outdated and isn’t the best, don’t let that deter you as they are accepting driver applications. 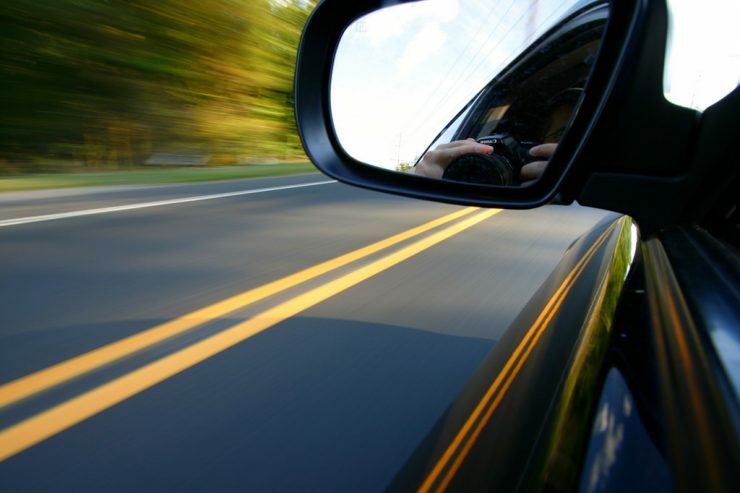 As long as you have valid insurance, consider yourself to be a good driver and a non-fiberglass surface, then you’re probably eligible, at least according to the official website. And as for payment, the official FAQ says you should be prepared to make $50 per month if your car is “fully loaded,” which means you have about 1,000 square inches of advertising. Generally, the more square inches of advertising you have on your vehicle, the more you can make. When I went to act like I was applying, I did see that the company had higher tiers, where you could pay a one-time fee to “get picked first,” but I don’t recommend this route as there’s no guarantee regardless. Instead, apply for free via the company’s regular application and hope for the best. While the company doesn’t say much on its official website, you can fill out an application, where it asks for your name, vehicle information and what you’re looking for in terms of income. The company has been around since 2001 and still appears to be active as I write this. As you can see, there are a few legitimate companies that will pay you to advertise on your car, but I need to warn you: It’s going to be VERY hard to get a deal since you’re competing with thousands of other applicants. More like the lottery, I don’t think there’s nothing wrong in applying with these companies, but just make sure you have the mindset that there’s a slim chance you will hear back. Even if you do hear back, the payout rate is quite low, usually less than $200 a month, so even if you can snag a car wrap advertising gig, you’re not going to be able to quit your job anyways. Also, keep in mind that many scams exist, so if you’re even questioning, play it safe and avoid it. If you have tried a company or even have a question/review, do let me know in the comments. I would love to hear from you!